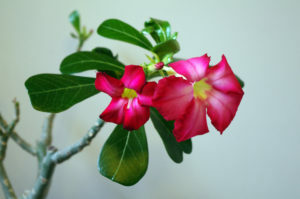 Most dog people know that some outdoor plants like oleander and sago palms are toxic to dogs. What you may not realize is that there are tons of household plants that are dangerous, or even deadly, to dogs. Knowledge is power and having an awareness of plants that can be toxic, or even fatal, to your best friend is the key to preventing close calls with your dog’s life. Hart Nursery in Cape Town recently warned their followers of the danger that may be lurking inside some houseplants. A woman’s dog was chemically burned on 30% of his poor aching body from coming into contact with the sap of a firestick plant. Our hearts ache for the pup and his human in equal measure. If she had known that a simple succulent could cause such harm, she’d have never brought the beautiful, but dangerous plant into her home. A variety of euphorbia called a firestick was the culprit in the above mentioned case of two dogs becoming gravely ill and chemically burned. This genus of plants is tricky for dog families because there over 2000 species! About 1200 are succulents, known for their architectural or bizarre shapes. 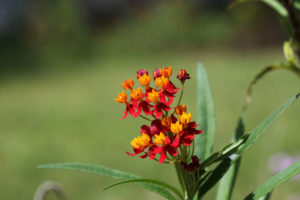 Non-succulent varieties include common household plants such as milkweed (pictured above) and poinsettia. Toxicity: The milky sap contained in the stems and leaves of this genus of plants can be toxic to dogs and humans if it comes in contact with the skin or is eaten. Different euphorbia plants have different degrees of toxicity. Symptoms include burning, irritation of the mucous membranes and/or digestive system, burns on the skin, excessive drooling, vomiting, and irritation of the eyes. Treatment: In mild cases, simply wash affected contact areas with warm water and mild soap. See your vet if your dog is vomiting, chemically burned, or lethargic. This ornamental plant native to South Africa is stunningly beautiful for its flowers that look like tropical birds when in full bloom. Unfortunately, the plant contains hydrogen cyanide. This was used as a biological weapon against humans, most notably in WWII gas chambers. Toxicity: Every part of this plant is toxic to dogs and can cause nausea, vomiting, drowsiness, difficulty breathing, loss of appetite, or death. 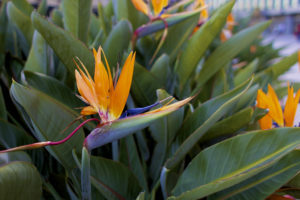 Treatment: If you suspect your dog has ingested any part of a bird of paradise plant, take him to the vet. The kaffir lily is beautiful but not a good choice for those with dogs who may bite or eat plants. The base of the leaves, stem, and bulbs are highly poisonous to dogs because of the alkaloids such as licorice contained within. Toxicity: The entire plant is toxic to dogs, but the leaves, stem, and bulbs are especially poisonous. Eating it will cause vomiting and diarrhea. If large amounts are ingested, it can cause cardiac arrhythmia, convulsions, low blood pressure, and tremors. Treatment: If your dog ate a very small amount, vomited and seems to feel fine, monitor for further symptoms. If he ate a large amount or symptoms get worse, head to the vet right away. Actually a succulent, this gorgeous plant is reminiscent of a bonsai with its tiny tree look. If you can’t live without this bit of botany in your home, be sure to place it on a shelf high. Keep it away from your pup because it is highly toxic to dogs. Toxicity: One of the compounds in this plant is digoxin and it is what makes every part of this plant, from leaves to roots to sap, poisonous to your furry friend. When eaten it can produce such symptoms as diarrhea, vomiting, anorexia, depression, irregular heartbeat. If eaten in high amounts, it can lead to death. Treatment: This requires a trip to the vet due to the severity of symptoms and potential outcomes. 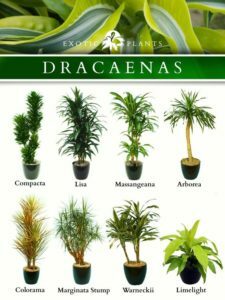 There are around 40 different species of plants in the genus Dracaena and they are all toxic to dogs. 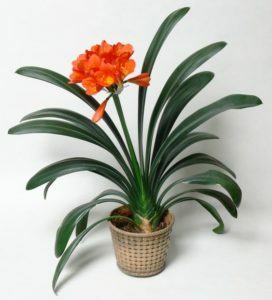 They are very popular and widely available houseplant. Dog parents should be cautious of having this type of plant accessible to a curious pooch. Toxicity: These plants contain saponins which causes vomiting with blood at times, depression, lack of appetite, and excessive drooling when consumed. All parts of this plant are toxic to dogs. Treatment: Monitor symptoms. If they are severe or do not clear quickly, take your dog to the vet. 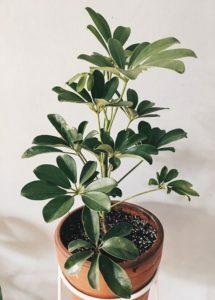 Some common household plants in this family are Schefflera (pictured above), elephant’s ear, calla lily, Philodendron, and umbrella plant. 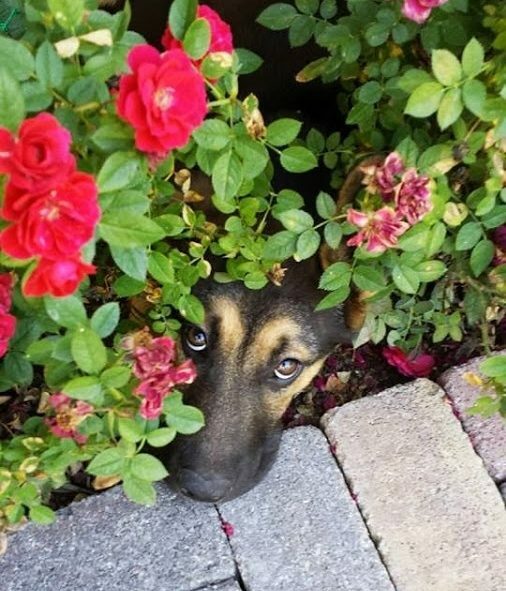 If you have dogs in the house, be sure to monitor them around these plants. They are highly toxic to dogs. Toxicity: Plants in the Araceae family contain calcium oxalate crystals which will poison dogs when ingested. When bitten into or eaten, symptoms can include irritation of the mouth, lips, nose and tongue. Other symptoms include intense burning, excessive drooling, difficulty swallowing, and vomiting. Treatment: Monitor your fur baby’s condition and call your vet if you are concerned. Thoroughly rinse your dog’s mouth with water to remove as much toxins as possible. This list is by no means exhaustive and only shows a small sampling of houseplants that can harm your dog. For more information about plant toxicity, you can search a fairly comprehensive database by the Veterinary Teaching Hospital at Colorado State University. Most importantly, if you suspect your beautiful baby may have ingested or come in contact with a poisonous plat, always consult with your veterinarian. It’s best to be on the safe side. We love our cuddle bugs with all of our might. We want nothing but for them to be safe and secure. So be mindful of the houseplants that are accessible to curious mouths and avoid an uncomfortable or even deadly reaction.